Where Are St. Louis’ Urban Fishing Hotspots? Find Out Feb. 22! There are over 80 public lakes comprising more than 1,200 acres of water in the St. Louis area. Photo provided by MDC. UPDATE FROM MDC: “Fishin’ Hotspots of the St. Louis Area” program at Powder Valley Nature Center has been canceled due to unforeseen circumstances making the speaker unavailable. The program will be rescheduled at a later date. We apologize for the inconvenience and thank you for your support of conservation. The Missouri Department of Conservation (MDC) continues its 50th anniversary of St. Louis urban fishing celebration with a special presentation at Powder Valley Nature Center in Kirkwood. The St. Louis lake fishing hotspots program will be held Friday, Feb. 22 starting at 7 p.m.
St. Louis has many quality lake and pond fishing opportunities, from rainbow and brown trout in winter months, to largemouth bass and channel catfish sure to give any angler’s line a workout in warmer months. Many St. Louis anglers may not know about them, however. There are more than 80 public lakes comprising more than 1,200 acres of water within a one-hour drive of the Gateway Arch. MDC invites St. Louis-area anglers to learn about these overlooked St. Louis fishing holes with MDC Fisheries Management Biologist Kevin Meneau, who manages the urban fishing program. Read more about the event and how to register below. Photo by MDC Staff, courtesy Missouri Department of Conservation. 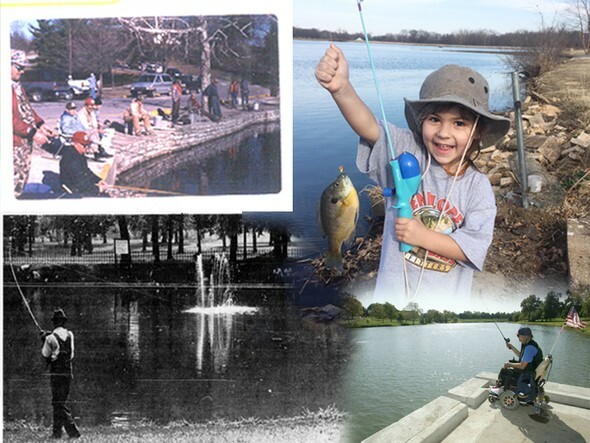 Read the Missouri Department of Conservation’s (MDC) story of how the Urban Fishing Program (UFP) began and how the positive influence of the outdoors was a resounding success in our urban communities. This year marks the 50th anniversary of the MDC Urban Fishing Program. MDC plans to spend 2019 celebrating and invites metro area anglers to join in. The UFP was originally initiated in 1969 by the federal government during a time when civil unrest was causing tensions in many cities across the country. 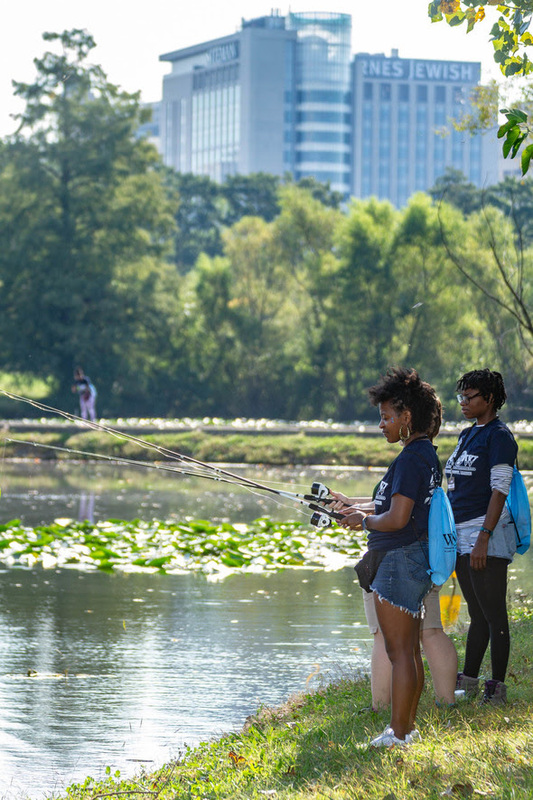 Their goal was to bring close-to-home fishing to people and infuse a positive influence into urban communities. The program launched in six cities, including St. Louis with the cooperation of MDC and the St. Louis Parks and Recreation Department. It was a resounding success in the Gateway City. MDC took over the UFP in 1972 and eventually expanded it into St. Louis County and Kansas City.